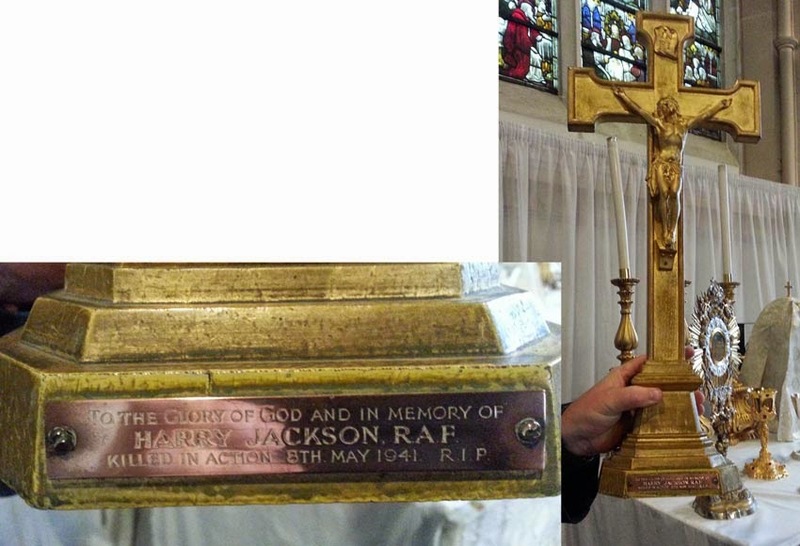 To the Glory of God and in Memory of / Harry Jackson R.A.F. / Killed in Action 8th May 1941 R.I.P. Harry is buried in Barnsley Cemetery where the inscription on his grave (J 848) notes that he was killed by enemy action aged 20 years. He is commemorated on the Commonwealth War Graves Commission website.